They might have a beautiful scent to help you relax, but adding fresh flowers and other plants to your bathroom have many additional health benefits. Aloe plants or peace lilies, aside from being gorgeous additions to your spa-like space, will boost the oxygen levels in your bathroom and remove impurities. Your bathroom will instantly feel fresher, brighter and cleaner. 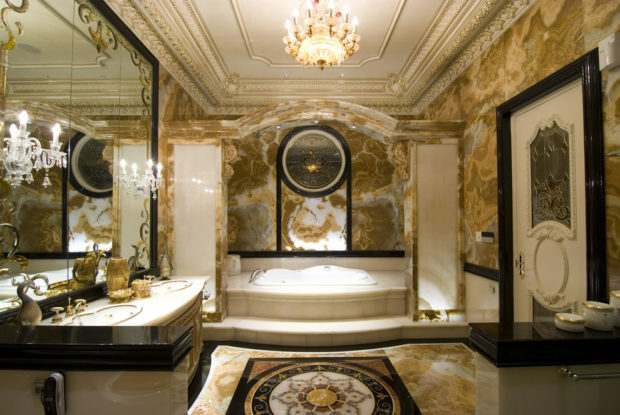 If you want a luxury experience every time you use your bathroom, you’ll need the right bathroom furniture to back it up. If you have the space, consider adding a Jacuzzi bath for some added bubbles, or an ornate dressing table that will make every application of make-up or nail polish a truly pampered experience. If you only have a small space, install a shower with a rain head as well as massage jets to help sooth any aches and pains. When you walk into a five-star hotel bathroom, it’s the attention to detail that you notice. It’s the precision with which each of the toiletries are placed around the sink, the towels that are neatly folded, and the welcoming treats that you notice. If you want to feel like an A-List guest in your own home, start paying the same amount of attention to your own space. Have matching hand soaps, creams and oils so that anyone who pays a visit to your restroom feels like they’re staying at a swanky hotel. Always leave everything in order, and tidy things like toothbrushes and skincare products out of the way. Remember, minimalism is king. What helps you to relax in the evening? 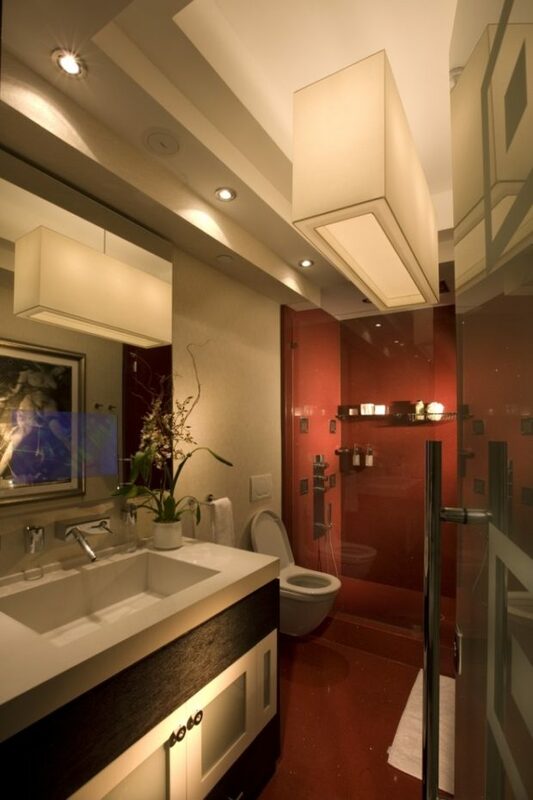 It could be the scent of rose petals or the warmth of a bath, but I’ll bet that lighting plays a key role. There are three things you can do to create mood using lighting. First, when you have a bath, light some candles around the rim for a gentle light that will help you unwind. If you’re not a fan of leaving anything alight, swap that for a dimmer switch and get the scent from a reed diffuser instead. Alternatively, go for a Hollywood theme and have a mirror that’s surrounded by lights. It will be far easier on the eyes when you’re trying to de-stress.